This entry was posted on Wednesday, August 6, 2014 and is filed under blue,pink,ruffles. You can follow any responses to this entry through the RSS 2.0. You can leave a response. Ruffles - and lace, for that matter! 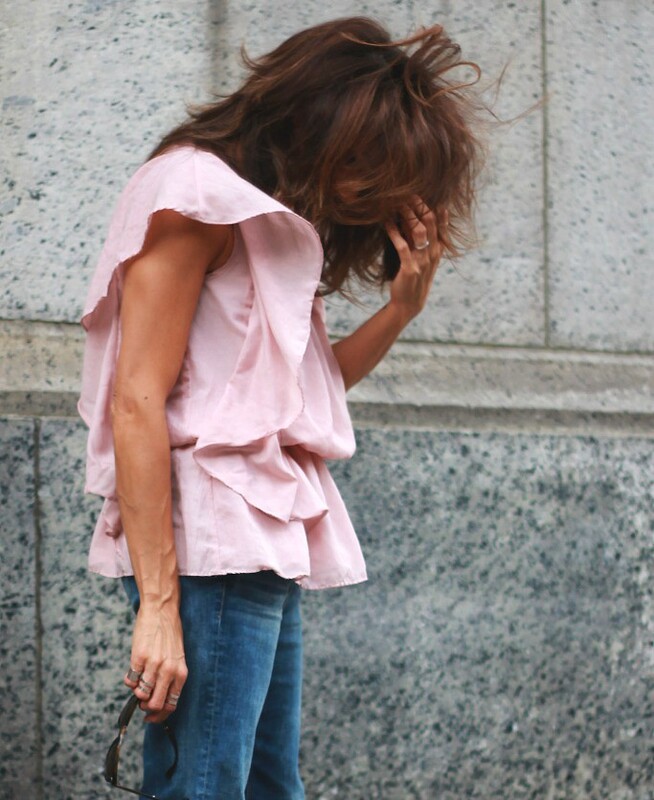 - are not always my thing, dear Sheree; but I really like the unstructured feel of this pink blouse. It's a feminine look that isn't too girly...if that makes any sense!! Darn girl you always get it right - I love you in jeans! Love this look and the top is gorgeous! !